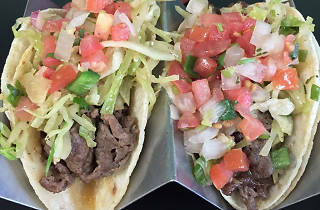 After the Korean taco took off in Los Angeles, it made its way up to Las Vegas at Komex Fusion. 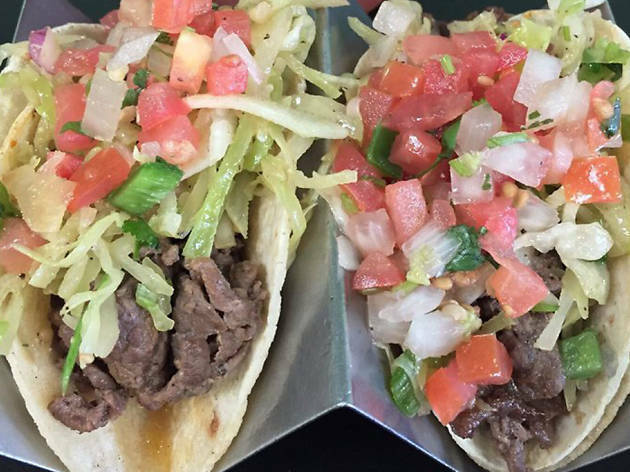 The combination of Mexican and Korean flavors is so perfect that, upon tasting the Korean taco, diners wondered why nobody thought of the combo sooner. Try bulgogi style beef, pork belly or tofu on a corn tortilla. It’s topped with Komex slaw, reinforcing those Korean flavors, and fresh pico de gallo, bumping up the Mexican profile. Yum.